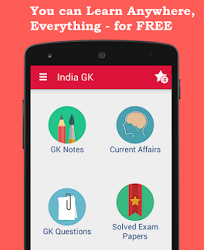 27th, 28th January 2017 Current Affairs MCQs, Quiz, Questions: Current Affairs for January 2017, Daily Multiple Choice Questions (MCQs) for India GK, World GK and current affairs with Collection of daily objective type Question by www.Indiagk.net based on General Knowledge (GK) and General Science (GS) Questions for UPSC, State PSC, SSC, Police exam, Railway exam, SBI, Bank PO, IBPC, SSC, LDC, UDC, Army, Airforce, Navy, Coast Guard, Bank Clerk, TET and all entrance examination with current affairs News, Multiple Choice Questions (MCQs) available on Website www.IndiaGK.net and Android Apps with daily updates:. The T20 Blind Cricket World Cup 2017 will be hosted by which country? V Shanmuganathan resigned as the Governor of which State recently? Who is No. 1 Batsmans as per ICC ODI rankings on 27th January? First Indian Post Office Passport Seva Kendra (POPSK) has been inaugurated in which city? Who wins Australian Open 2017?